With spring just around the corner and the weather growing warmer, it’s time for Spring Cleaning! What should you do to upkeep your home with the change in the season, you ask? 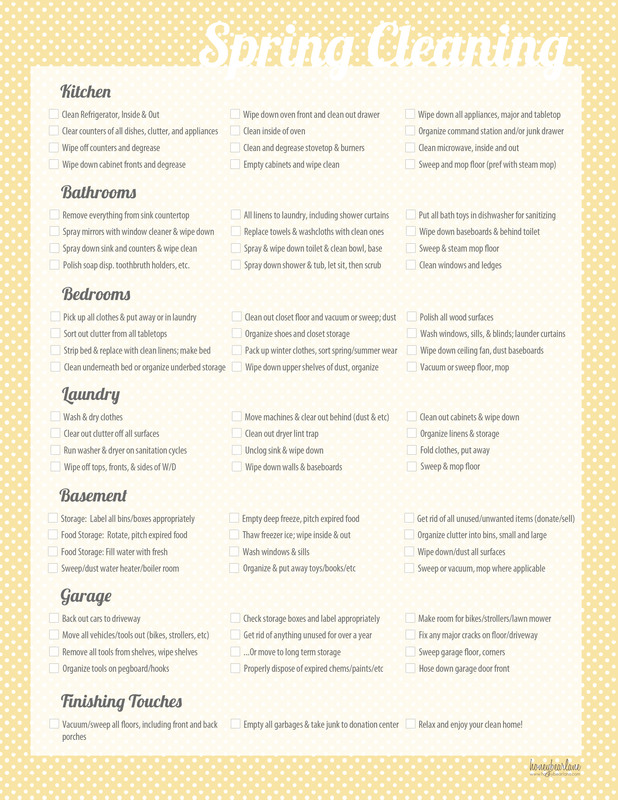 The printable list below from Honey Bear Lane will help you simplify Spring Cleaning so that it’s not just another daunting task! What are some helpful tips that you have when it comes to Spring Cleaning? Previous Post Considering Buying a New Home? Write a wish list for your dream home!